After completion of training I was posted in grade 425-700 (present GP-4200/-) on 13.04.1983 in Railways. I was promoted in grade 550-750 (Present GP-4200/-) in May 1986. Further promoted on adhoc in 700-900 (Present GP-4600/- )in Feb.1989.in ex-cader post. Since then I am working on adhoc in same grade (GP-4600/-) in ex- cader post. Kindly guide me since when I would be entitle of all MACPs. You have got 3 pay fixations, so you are not eligible for MACPS. First Promotion shown.425-700 in 3rd CPC it was in 6th CPC GP 2800 not 4200. Sir, I joined Govt Service in the year 1997 in Grade Pay 4200/- I was promoted in September 2003 and my grade pay was enhanced to Rs 4600.. In the year 2013 I was granted 2nd MACP and my pay was fixed after giving one increment of 3% plus the difference of grade pay of Rs 4800- Rs 4600 under Pay Band 2. 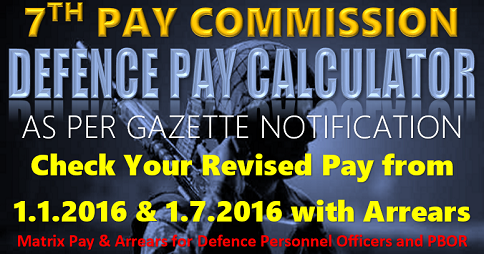 I got regular promotion to the Grade Pay of 5400/- under PB 3 in August 2016. At the time of promotion, I was not given an increment by my department citing the reason that I was given MACP of Rs 4800/- under Pay Band 2 so as per MACP OM of 2009, I was not eligible for one increment. 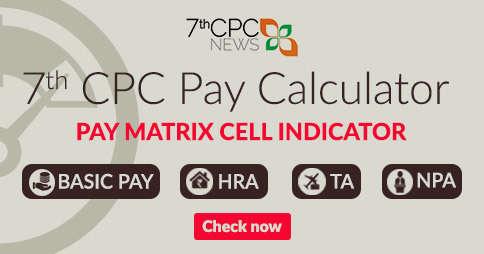 My pay was fixed in the next cell matrix of Level 10 from the Cell matrix of Level 9. My question is- am I eligible for grant of 1 increment at the time of my promotion in August 2016 when my pay band changed from PB-2 to PB-3..
No increment. From 1/9/2008 O.M. in MACP Scheme additional increment given and basic pay fixed to next level. 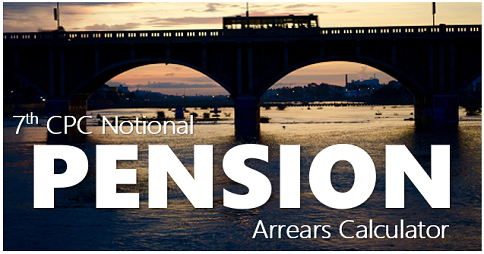 Normal promotions are no monitory benefits only designation changes in view of the vacant post/retirement. Now your level 9 only. In Service one has get only three promotions or 3 MACP of every completion of 10 years. 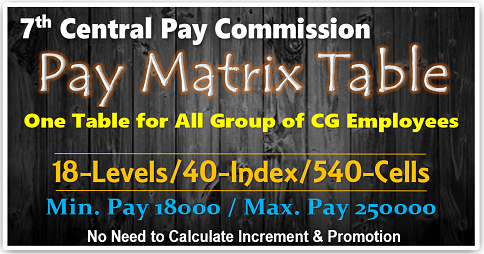 You are UPGRADED from GP 1) 4200 to 4600, 2) 4600 to 4800, & 3) 4800 to 5400 matrix levels 7,8 & 9. Every year upto retirement you will get stages of increments in level 9.
sir I was not given the 1st MACP and the office told me that since you have been promoted you will get not get the first MACP. You will get MACP in 2013. Accordingly when the MACP was given in 2013, they termed it as 2nd MACP. There was one error in my submission earlier, I was promoted in august 2016 from grade pay of 4800/- in Level 8 to Grade Pay of Rs 5400 in Level 10. Since there was a change in the Pay Band, I should have been given one increment at the time of promotion. Recently there was a circular of the Govt of India wherein those promoted between 1.1.16 till 25.7.17 were given the option to submit their revised option. I have given my option for fixation of pay from DNI. Will my pay be fixed as per this OM by giving me one increment of the lowest post and placing me in the next cell of Level 10 under PB-3. Check up with your basic pay with GP 4800 as on 31/12/2015 x 2.57 fixed at level 8 in one increment and fixed in the level 9 on your promotion date (first they might have been given 3% of old pay then they changed). Further this is to inform you that you cannot be in LEVEL 10 because that level is only for Group A entry I. e. new recruits ( ₹ 15600 – 39100 PB 3). 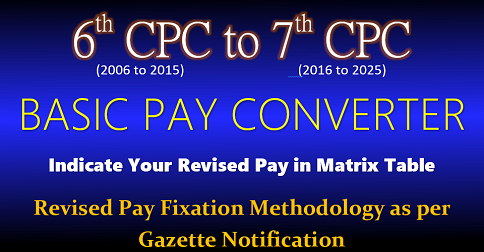 Moreover check up with your basic pay in this site 7thCPC PROMOTION OR MACP OPTION CALCULATOR & OPTION FOR FIXATION OF PAY ON PROMOTION FROM THE DATE OF NEXT INCREMENT.. DO IT I & INFORM FOR SATISFACTION. 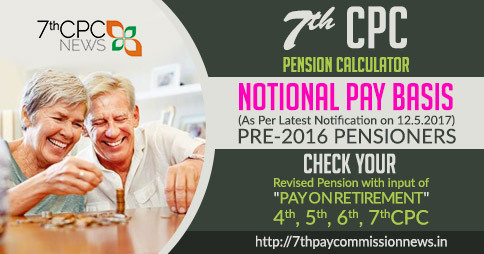 OTHERWISE mention your basic pay with GP total as 31/12/2015 & inform the date of promotion, I will do the calculations extractly as on date. Latest Min. Of Finance O.M. No.F.No.25-2/2017-IC/E.III(A) Ft. 18/6/2018 whether this order is suitable to your department,on completion of 4 years in GP 4800 it will be of GP 5400 LEVEL 9 from 1/1/2016 to you also. Further this is to inform you that since you have promoted on 2003 you should not given MACP on 2007 & your 2nd MACP on 2017 at that time additional one increment should be given in level 8. Since there’s no promotional benefits from 6th CPC & 7th CPC because there’s no pay scales for the separate posts, only for new entries/recruiter’s having entry pay with GP. It seems your office had not followed the rules properly, in future you will have recovery. Sorry to inform you earlier. Joined in Govt. organization 0n 30th Jan1989,In a cadre hierarchy was as follows: Rs.5000-8000 (revised GP 4200) Rs.5500-9000 (revised GP 4200) Rs.6500-10500 ( revised Up graded GP 4800 w.e.f.01-01-2006) and Rs.7500-12,500 (revised Up graded GP 5400) w .e.f. 01-01-2006,in 6th pay commission. What would be the 1st financial up gradation under the ACPS for a Government employee recruited in pre-revised pay scale of Rs.5000- 8000, who has completed his 12 years of regular service on 12.04.2001 is 4800/-(in promotional hierarchy) or GP 4600/- after completion of 10 yrs of Govt.Service,kindly clarify; employee is pressing to grant 4800/-in promotional hierarchy ;it In terms of clarification given on point of doubt no.3 issued vide DOPT’s O.M. No.35034/3/2008-Estt. (D) dated 9.9.2010, the benefits of ACPS would be applicable in the new pay structure adopted w.e.f. 1.1.2006 in the promotional hierarchy. As per you have been appointed in 1989 it was in 4th CPC treated your GP as 2400 on completion of 12 years ACP on 1/2001 upgraded as GP 2800 and 2nd MACP on completion of 10 years on 1/2011. The illustrations shown in the O.M was in the 4th CPC scales you meaned as 5th CPC scale. Effects from 1/1/2006 of GP 1800 for GROUP D only in last para of O.M. Moreover for military service they have given ACP/MACP w.e.f 1/1/2006 for them 8/16/24 years upgradations. The 1st financial up gradation under the ACPS, on completion of 12 years of regular service on 30-0-2001 is with a GP 4800/- in PB-2(in promotional hierarchy) and subsequently GP Rs. 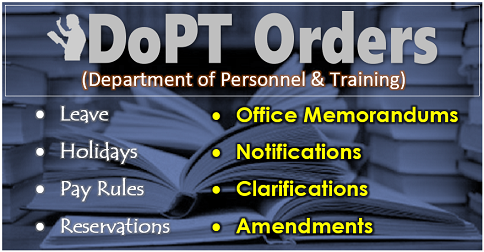 5400 in PB-2 and %$00/-in PB-3 on completion of 20 and 30 years of Service ; on MACP it In terms of clarification given on point of doubt no.3 issued vide DOPT’s O.M. No.35034/3/2008-Estt. (D) dated 9.9.2010, the benefits of ACPS would be applicable in the new pay structure adopted w.e.f. 1.1.2006 in the promotional hierarchy. is it true kindly clarify ? I was enrolled in the Army on 28 Sep 1985. I was promoted in the rank Nk WWF 01 Apr 1992 and Hav ildar WWF 01 Mar 1996. Pl confirm whether I am applicable for gtd MACP with effect which date while I was promoted to Nb Sub WWF 01 Sep 2008 as per latest court order in the month of Dec 2017 last year. However, I have completed 12 years and 05 months of service in one rank (ie Hav). I have joined as Jr Clerk 26/02/l985 in State Government. . I got 1st ACP on 26-02-1985 and fix my basic pay 4000-6000.on 26/02/1985. Lateron I am on Transfered in DRT Aurangabad Central Government with request new opering Later on with on 13/02/2003 promoted as as UDC already ACP granted hence same pay o pay is fixed. Kindly inform me on which date MACP is grant to me with rule of MACP, I am working in continous service. I Have completed 24 years service on 26/02/2009. On which date macp is grant to me. I appointed as LDC in 03-05-2000 under Autonomous Body under MoD with the pay scale of 3050-75-3950-80-4590 as per Vth Pay commission and worked till 30-09-2010. What should my basic pay after fixation in VI pay Commission and MACP etc. VOLUNTARY RETIRED ON 30/04/2017.DATE OF APPOINTMENT 01/02/1983. DATE OF FIRST PROMOTION 28/04/1989.DATE OF 3RD MACP 01/09/2008 GRADE PAY 4600/-. HOW GRADE PAY BY MACP 4800/-? Date of joining 1988.1st promotion 1996.2nd macp got 2008.what is my 3rd macp 2016 or 2018? I was appointed as direct J.A.A. in 1993 at Railway accounts and promoted in 1996 as A.A. and as per 6th CPC my 1st MACP was due 2006 after 10 yrs, But I got 1st MACP in June/2010 with G.Pay 4600/-. now when will be due next MACP . it is 2016 or 2018 ?. I think it is something wrong. kindly reply correct solution. I was appointed as L.D.C. in 28-4-1978 and promoted in 25-11-1988 as stores-keeper then I got TBPS 4500 to 7000/-in 25-11-2000 and placed in scale 5000 to 20000 with gr.pay 2800/- in 6th pay commission thereafter I was due for promotion 30-11-2006 where clear vacancy arise but Dept.given promotion 22-12-2010 in scale 9500 to 34800/-with gr pay 4200/- .I retired on 30-6-2012. thereafter I have granted MACP w..e..f.1-9-2008. with grade pay 4200/- I feel this is some thing wrong. kindly reply correct entitlement. I was appointed to the post of LDC on 14.08.1985 in the Department of Agriculture and I got 1st regular promotion to the post of UDC on 09.09.1991. Sir could you please provide me the details of Government order on basis of which these illustrations are made, So that same can be made available to authorities to get the rectifications made. AS at my institute it seems most of MACP’s are done in wrong way.